Listen live to your BBC local radio station in Derby, Leicestershire and Nottinghamshire. How do you prepare for Diwali? 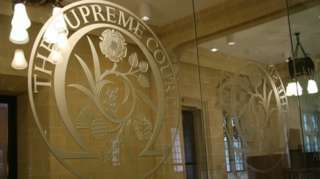 The UK Supreme Court ruled the council was "vicariously liable" for abuse foster parents committed. Regular live coverage on this page has ended for the day, but breaking news, sport and travel updates will continue appear through the night. Buses in Nottingham were delayed after a woman was hit by a bus near Beast Market Hill. Nottinghamshire Police said her injuries were not life-threatening. It happened at about 15:30. A CCTV image has been released of a man police want to speak to in connection with a theft. Derbyshire Police said a man went into PC World in Meteor Centre Retail Park and asked staff to look at a laptop. Police say he took the laptop without paying for it on 3 October. Details have only just been released. Have you seen missing boys? Officers are concerned for the safety of two teenage boys who have gone missing. Judge Oliver, 13, and Kyle Scott, 14 were last seen at Worksop railway station catching a train to Sheffield at about 17:00 yesterday. Nottinghamshire Police believe the boys then caught another train to Birmingham. Judge was last seen wearing a black Nike puffa jacket, grey Nike tracksuit bottoms, grey and black Nike trainers with a black Nike backpack and black Nike cap. Kyle was wearing a black Nike tracksuit top, green tracksuit bottoms and a black cap. Two border collie puppies stolen with five others from a Derbyshire farm are still missing. It happened overnight on Friday in Holmesfield, Dronfield. Derbyshire Police said five of the seven were found by a member of the public abandoned in a plastic box in a wooded area off Raeburn Road, Sheffield on Monday evening. The two puppies pictured below are still missing. PC Andy Shaw said the five puppies are back with their owner and making a good recovery. However, they may not have survived the night if they had not been found. He added: “Two of the stolen puppies are still missing and we would ask if anyone has been offered a border collie pup for sale in this part of Derbyshire or South Yorkshire to make contact with us." The head of Leicester's hospitals has defended figures which show the NHS in the city is still missing key targets. It comes as the BBC launches a new online tracker helping people to see how local hospitals are performing. The targets include seeing at least 95% of accident and emergency patients within four hours, which Leicester Royal Infirmary has not hit since June 2015. John Adler, chief executive for the University Hospitals of Leicester Trust, said: "We have had problems with hitting the four-hour target for quite some time but the good news is that we are actually better then we were this time last year as it shows on the tracker, we are up 4.1%." M1 Leicestershire northbound severe disruption, at J23 for A512. M1 Leicestershire - Heavy traffic on M1 northbound at J23, A512 (Loughborough), because of an earlier broken down vehicle. In the roadworks area. All lanes have been re-opened. 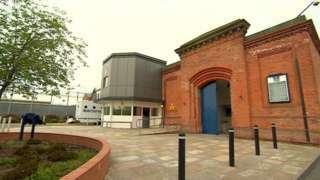 Inquests open into the deaths of three HMP Nottingham prisoners, following five deaths in a month. The Environment Agency is cracking down on illegal fishing in Nottinghamshire. Staff often patrol the county's waterways to crack down on crime and to protect almost £1.5m of business. Last year the team handed out £45,000 in fines across the East Midlands and there were five arrests. Video caption: The Environment Agency is cracking down on illegal fishing in Nottinghamshire.The Environment Agency is cracking down on illegal fishing in Nottinghamshire. Callum Underhill, from the environment agency, was patrolling the area around Colwick Park this morning. He said: "Just having the boat as an asset available to us to go to areas where we can't reach on foot or in a four by four is a real plus." Detectives are investigating after three men entered a house, threatened the occupant and demanded valuable items. Officers said the occupant suffered minor injuries, but nothing is believed to have been stolen from the house. It happened in Dalby Avenue, Bushby, Leicestershire between 19:25 and 19:35 on Monday. Officers said the men entered the house through a back door and it is believed they left in a small dark coloured car which was parked in Dalby Avenue, pointing in the direction of the A47. Police have released descriptions of the men and officers are keen to speak to anyone who was in the area on Monday night or who saw a car driving erratically, particularly on the A47. A row has broken out between the owner of Mansfield Town Football Club and Mansfield District Council over plans for a new hotel. Club owner John Radford has been told he is not the "preferred bidder" for the proposed development. Mr Radford said he'd submitted a bid for a hotel backed by a "flagship brand" on the old Mansfield bus station site at Rosemary Street. But the district council quickly issued a statement saying that another investor had been chosen as the preferred bidder. Mr Radford says he's "bitterly disappointed" with the decision having paid architects and surveyors fees. He's now pledging to press ahead with an alternative plan for a hotel at the Field Mill stadium instead. A606 Leicestershire westbound severe accident, at A607 Leicester Road affecting Sawgate Road. A606 Leicestershire - An accident on A606 Leicester Street westbound in Melton Mowbray at the A607 Leicester Road junction. Congestion to the Sawgate Road junction. There will be outbreaks of rain for the rest of this afternoon. Most of the rain will clear northwards overnight leaving a few isolated showers with some clouds. Tomorrow morning will see widespread rain, which could be heavy at times. The rain will steadily start to clear in the afternoon and early evening before more rain arrives overnight with highs of 15C (59F). National League North side Southport appoint former England international Kevin Davies as their new manager. Can you help police find missing Derby man? Police have renewed an appeal for information following the disappearance of a Derby man. Johnathan Webster, 50, from Chellaston in Derby was last seen at 10:00 on Saturday when he left his home. Later that evening, officers found his bicycle on a bridge over the River Trent near Kings Newton, South Derbyshire. Jonathan was last seen wearing wearing dark brown trousers, a jumper and a dark blue quilted jacket. The family of stabbing victim Pedro Godinho has released a statement saying how their "lives have been torn apart" since his death. Pedro, 22, died in March after he was stabbed by Ezekiel Braithwaite, 20, of no fixed address. Rafael Godinho, speaking on behalf of the family said: "Pedro should still be here with his family, his wife and children. He had his whole life ahead of him instead it was cruelly taken from him by a man who chose to carry a knife and use it," he said. “Our lives have been torn apart by what happened to Pedro." Braithwaite is due to be sentenced at Leicester Crown Court on Friday. 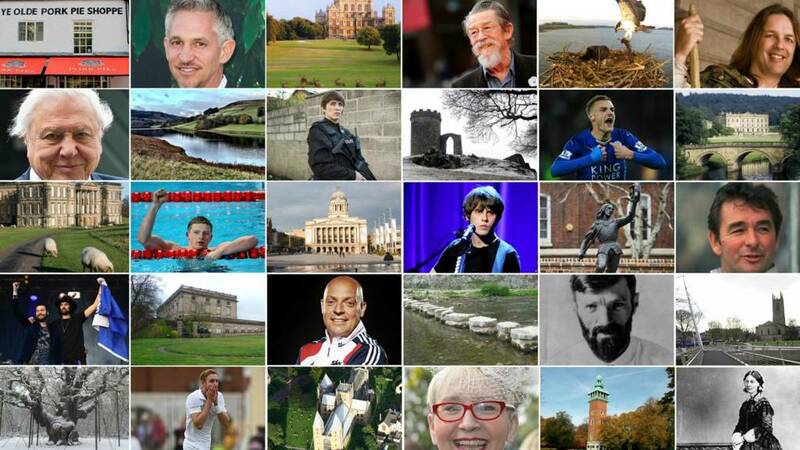 The deadline to nominate your BBC Get Inspired Unsung Hero is on Sunday at 23:59. The award recognises someone who devotes their free time to help people in grassroots activity and sport. Who do you know who fits the bill? Last year, the award went to Marcellus Baz, from Nottingham, a former gang member who turned his life around and founded a boxing gym in the city. Regional winners will attend the BBC Sports Personality of the Year ceremony in Liverpool on Sunday, 17 December, when the overall winner will be announced.